City Cycle Style, a new exhibition by leading fashion photographer Horst A. Friedrichs will be on display at London’s Royal Exchange until next Friday 29 October 2011. The collection captures 40 of the Capital’s most stylish cyclists on their two-wheeled transport of choice; from vintage and fixed-gear to classic lightweight and Pashley bicycles. 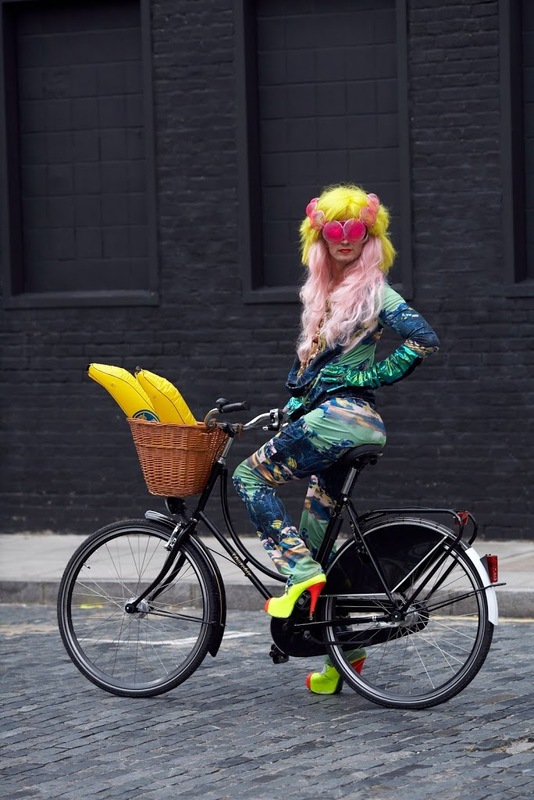 Cycling enthusiasts, The Lord Mayor Alderman Michael Bear and Boris Johnson can be seen alongside London’s style-setters including Sir. Paul Smith, the British fashion designer; Jonny Woo, Queen of London’s drag scene (pictured); Hazel Robinson, stylist to Madonna and one half of cutting edge fashion label House of Jazz and Jonathan Kelsey, shoe designer for Matthew Williamson, Mulberry and Hunter. Watch the making of video or visit the exhibition at The Royal Exchange, EC3V 3LR between Cornhill and Threadneedle Street.